The Choice Series features two captivating stories that pose the question, “What would you do if…?” to its readers. 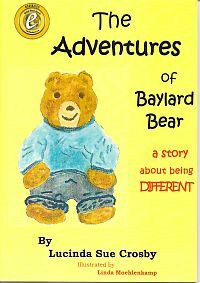 American author Audrey Burke-Moore of Adamsville, Alabama, made sure her book series boasts of a classic combination of well-written storylines and emotionally charged, quoted words. This latest romance book is available nationwide. 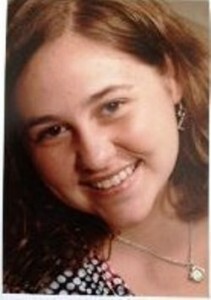 Audrey, who has more than ten years of writing experience, is an advocate for stopping bullying in schools. She uses 50% of net profits to reinvest in creative ways to engage children’s creative side. 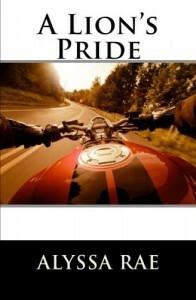 It is two short stories that follows the lives of Cheryl and Keith (The Promise) and Austyn and Kayla (The Bridge). With a mix of poetic scenes that shine a light on the love shared by Cheryl and Keith to a promise made as children warranting to be fulfilled before Keith dies. In the story the bridge- Austyn saw Kayla time and time again during his daily run. After being convinced by his best friend Mike, he asked her out and a fire was ignited between the two. That was not the only fire burning in Austyn’s life. Is this book part of a series? 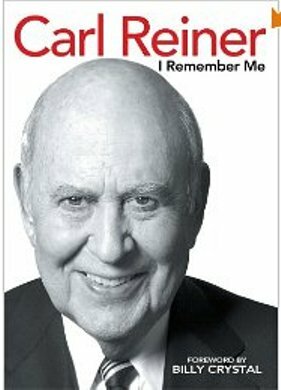 Do you have related books? 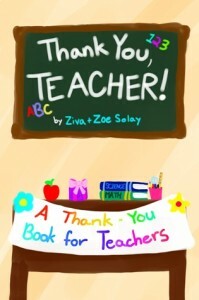 Yes, this book is a part of a series of books called The Choice. All of the books written under this series will pose a choice the main character(s) have to make. 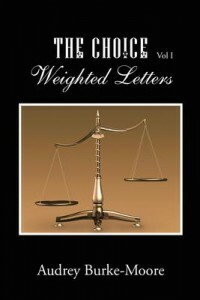 The Choice: Weighted Letters is what I like to call my sampler book. This allow the readers a chance to see my writing style and the mystery I like to incorporate in my writing. I like to leave the reader with a realistic fiction story where they ask themselves, what they would do if this happened in their life. When did you first know that you had a passion for writing? I first felt the passion for writing at a young age. My mother encouraged me to live within the passion I had for writing and even if I stayed away from it, I would always come right back to it. It is my invisible magnetic pull. What do you want our audience to know about you? The important thing is that I love to write. I love when I can start a story, climax the story and end the story. I love getting the reader engaged through the words on each line. I love reader input. Writing The Choice- Volume II is next. I am currently finishing the story The Transient-Phobias. The greatest advice I could give anyone who is an independent writer or those who harbor dreams if writing would be to take the first step and write your first chapter. Let your words fall like dominoes on an empty page that is waiting to receive your story. Let your heart convey to your hands what to write. Sylvie works in an e-commerce company, ‘Good Vibration’, specialising in the distribution of adult toys. She’s surrounded by colourful people as well as interesting items she refuses to use. The place has been her lifeline, even though it’s made out of silicone and plastic, for two and a half years as she still tries to come to terms with the devastation of losing of her husband while bringing up their daughter, alone. Her world is turned upside down when her work partner collapses and his stepson, Finlay, comes in to sort out the business, which his family own. The consummated snob isn’t impressed with it and wants it to shut it down. He finds the product and people distasteful … and it shows. And he has his own problems, as his beautiful French wife has just told him she’s pregnant but he might not be the father. Determined to keep the place open, against someone fixed on closing it down, the pair fight tooth and nail to achieve what they want, both poles apart on how they see the world and why. But could opposites really attract? Or is it that they want to be with that person, but all for the wrong reasons? 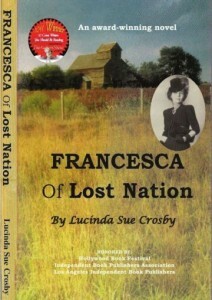 Francesca of Lost Nation is the story of a 59-year old woman and her granddaughter, Sarah, during the summer of 1947 in Lost Nation, Iowa. Together, these best friends beard an arsonist in his den, conquer the skies and demonstrate to one another the greatest truth about love. 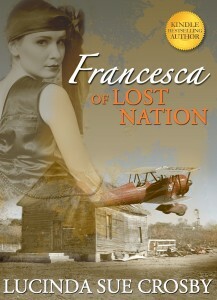 Join Lucinda Sue and all the quirky characters of Lost Nation, Iowa and discover one terrific read! She is a former Hollywood actress of “Pretty Woman,” and “Beaches” fame and toured as a professional tennis player. 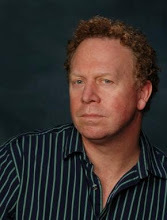 Crosby is a Nashville songwriter, commissioned poet and award-winning journalist. 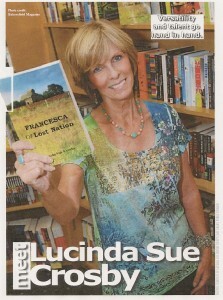 She is the author of Francesca of Lost Nation – a four-literary prize winning novel and Kindle bestseller. 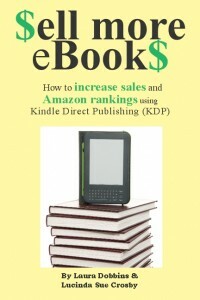 $ell more Ebook$ – how to increase sales and Amazon rankings using Kindle Direct Publishing. 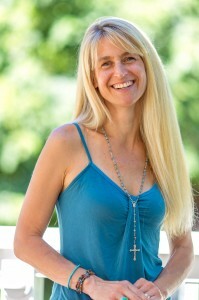 You can visit her website: http://www.luckycinda.com to learn more. Sometimes the storyteller is as riveting as the story. Mainstream fiction / whimsical realism. Weaves together the real-world struggles of a single mother, with the magical stories of a mysterious hospice patient she finds in her care. Hospice nurse Wilma Jones gave up on having an extraordinary life long ago. A single mother with little to her name but debt and disappointment, she at first overlooks the mysterious new patient who arrives at Evergreen Hospice. 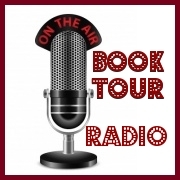 Mr. Was makes all sorts of fantastic claims, telling her tales of the days he spent traveling the world, or slaying dragons, or falling in love with a prostitute. Eventually, the stories told by Was draw Wilma in – some seem like fairy tales, others like memories. Soon they become the highlight of her day, the only thing keeping her going as the rest of her life falls apart. But when Wilma is involved in a terrible accident, her own story takes a surprising turn. Exploring the nature of stories and our very selves, Was will make you question all that is, and think anew about all that will be. 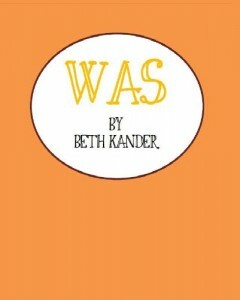 Beth Kander writes fiction, children’s books, stage plays, screenplays, and more. 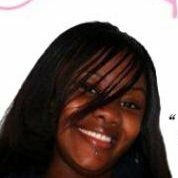 Her first children’s book, “Glubbery Gray, The Knight-Eating Beast” was published by Pelican Publishing in 2010; her debut novel, “Was,” is now available as an e-book; and two of her plays are now available for production from Steele Spring Theatrical Licensing. The honest truth, though, is that Beth will probably never be as famous as her dog, Dov, a shelter rescue who does a stupid pet trick that went viral and landed him on Web Soup, Attack of the Show, and even smack dab in the middle of Jay Leno’s monologue one night (all of this is 100% true). Being less famous than your dog is guaranteed to keep her humble, but she still hopes to find a loyal readership and carve out a name for herself. To learn more about Beth and her work, you can like her Facebook page and Follow her on Twitter. 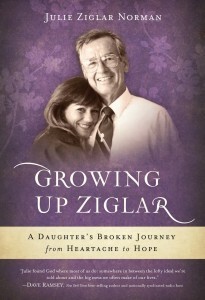 You can learn more on her author website. Set amid the seedy motels of Hollywood, California, Black Crow White Lie tells the story of Carson Calley, a young boy who grows up living a transient lifestyle with his fortune-telling mother, Juliette Bravo, an alcoholic full of stories about their former lives together. Believing his mother’s tales about his special powers, Carson becomes a healer, with the people of Hollywood waiting in long lines to see him. Carson secretly saves the money he earns from healing in the hopes of visiting his war-hero father’s grave in Washington, DC. 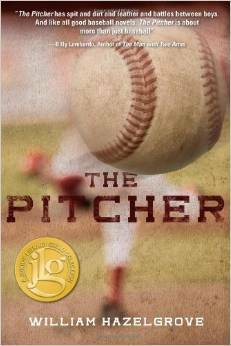 But before he goes, Carson discovers that there is more to his mother’s stories than he realizes. Learning the truth about her exaggerations and lies, Carson begins to question his very identity. Is he really the healer his mother told him he was? 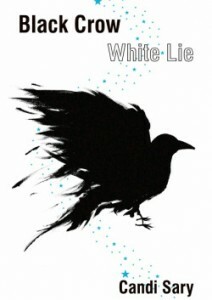 A mesmerizing debut novel, Black Crow White Lie explores the power of family relationships and illustrates how easy it is to fall prey to the fantasies of those who love us. 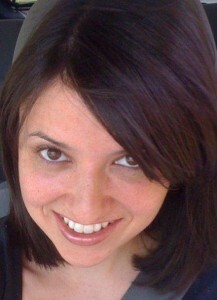 Candi Sary graduated from the University of California, Irvine. She has been a finalist in several writing competitions, including the William Faulkner William Wisdom Creative Writing Competition, the Santa Fe Writers Project Literary awards, and the Amazon Breakthrough Novel Awards. She lives in coastal Southern California with her husband and two children.